Complimentary Consultation One coupon per person. With this coupon. Cannot be combined with other offers. Expires 10/19. Order online with promo code awakenings or purchase in house. CONTACT US phone: 516-578-6903 fax: 516-953-3475 Publisher@AwakeLI.com For Editorial Product Review consideration: contact Kelly@NALImag.com. The statements in this publication have not been evaluated by the Food and Drug Administration. Therefore the information listed is not intended to diagnose, treat, cure, or prevent any disease. 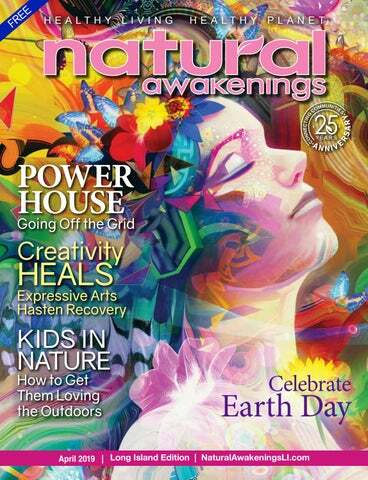 Natural Awakenings is printed on non-glossy newsprint to protect the environment. HOW TO ADVERTISE To advertise with Natural Awakenings or request a media kit, please contact us at 516-578-6903 or email Kelly@NALIMag.com. Deadline for ads: the 15th of the month. EDITORIAL SUBMISSIONS For articles, news items and ideas, visit our website, NaturalAwakeningsLI.com, under “advertise” to submit. Deadline for editorial: the 10th of the month. CALENDAR SUBMISSIONS For calendar listings, visit our website, NaturalAwakeningsLI.com, under “calendar” to submit. Deadline for calendar: the 10th of the month. REGIONAL MARKETS Advertise your products or services in multiple markets! To place your ad in other markets call 516-578-6903. Natural Awakenings Publishing Corp. is a growing, franchised family of locally owned magazines serving communities since 1994. For franchising opportunities, call 239-530-1377 or visit NaturalAwakenings.com. My goals, dreams, ideas . . .
Malama Pono! The statements in this publication have not been evaluated by the Food and Drug Administration. Therefore the information listed is not intended to diagnose, treat, cure or prevent any disease. o you ever want to know more about a co-worker or family member? Do you want to see the “truth” in a relationship or situation at work? Do you want your sales meetings to go more smoothly? You can learn to develop your natural intuitive abilities to gain insights and manifest better relationships and business. Tori Quisling offers fun, interactive 90-minute workshops to open up your intuition and practice this skill in a group or online. In the workshops, Quisling guides participants in a meditation to “tune in” to their natural intuitive ability, ask a question, and then train to “see” the answer as a symbol and color. This exercises the “inner eye” or pineal gland. “Students get this right away, and it’s fun,” says Quisling. “Then participants practice this new awareness by tuning in to a symbol that another student has drawn or by holding an object, such as jewelry of another student, to gain amazing insights into each other. It happens instantly and everyone is amazed at their own abilities as well as the feeling of clarity that comes from exchanging a healing communication.” Quisling assists with the readings Tori Quisling and offers insights for each person as well. The object reading is called “psychometry,” while the symbols reading is clairvoyant or “picture” reading. Quisling teaches a variety of methods to practice intuitive reading. Cost: $40 per person. Location: 150 Bayview Ave., Port Washington. For more information, contact Tori Quisling at 800-528-4191 or 516-423-1794, or Tori@ToriQuisling.com. Also visit ToriQuisling.com. See ad on page 33.
ome people may have wondered why it smells so strong in most hair salons. Some people’s scalps may have burned and their eyes may have teared up while their color was processing. The U.S. Occupational Safety and Health Administration, the Agency for Toxic Substances and Disease Registry, and the Food and Drug Administration have all issued reports on the hazards of toxic substances used in hair services and products. Some side effects are ALS (amyotrophic lateral sclerosis) risk, nervous system complications, chest pain, shortness of breath, nose and throat irritation, cancer, increased risk of asthma and allergies, itchy or raw skin, and hair loss. Fos Living Organic Hair Salon is committed to using alternative methods to hair and scalp services that are safer for their clients and employees. They have banned Brazilian blowouts and Japanese straighteners from the salon because they contain formaldehyde, ammonia, carcinogens and other harmful ingredients. Fos Living’s color products are imported from companies around the world that firmly believe in the concept of clean beauty. These efforts to stay away from harmful chemicals will prevent long-term complications with health and hair. It’s Fos Living’s mission to provide a safe, clean air environment for everyone. Alternative approaches to beauty, your health, and eco-friendliness are the most important things to the salon. Whether you’re younger, older, male, female, sensitive or not, they will work with your hair and scalp in the safest ways possible. Making you happy, keeping you safe from harmful ingredients, and meeting great people along the way is what they’re all about! Location: 13 Nassau Blvd., Garden City. Mention this brief and receive 10 percent of your first service. For more information, call 516-481-5900 or text to 631-902-2118. See ad on page 41.
spring We invite you to join and experience a truly conscious, loving, dating environment with amazing members. Try for frEE! ho is The Jazz Dentist is what many Natural Awakening readers may be asking. Dr. Peter Silver began his education by studying biology at the State University of New York at Stony Brook before enrolling in the New York University College of Dentistry. He graduated with his doctor of dental surgery degree in 1985, has decades of experience, and he hasn’t stopped learning about and honing his craft. Over the years, Silver has studied at some of the most prestigious education institutions in all of dentistry, including the Dawson Center, the Las Vegas Institute of Advanced Dental Studies, PAC-Live, and the Texas Institute of Advanced Dental Science. He’s also spent time with prominent professionals, such as Larry Rosenthal, and he’s currently a member of the Academy of General Dentistry, American Dental Association, American Academy of Dr. Peter Silver Cosmetic Dentistry, and GenR8TNext, a lecture and seminar group dedicated to “making life better for the next generation” of dentists. He has also earned the Fellowship Award from the Academy of Comprehensive Esthetics, and is certified by the International Academy of Oral Medicine and Toxicology in safe mercury removal. Away from the office, Silver leads a vibrant life as a professional trumpet player. He’s a long-time member of Musicians’ Union Local 802, leads his own jazz quintet, led a brass quintet for more than 25 years, and runs a 17-piece big band that regularly plays in both New Jersey and New York. He has been featured on NPR (National Public Radio) as the “Jazz Dentist of New York” and is a guest host on WBGO 88.3 FM. Patients love how they’re able to talk music with him. He brings with him a wealth of knowledge and is looking forward to working as part of the team at Golden Dental Wellness. Golden Dental Wellness is located at 444 Community Dr., Ste. 204, Manhasset. For more information or to make an appointment, call 516-627-8400 or visit GoldenSmile.com. See ad on page 7.
be sure and ask for a high-level screening every year! Holistic Hair care services Ethically made products, vegan & free from common toxic ingredients Professional organic Haircolor H color is the worldâ&#x20AC;&#x2122;s first professional organic hair color that delivers glossy, long lasting results and perfect grey coverage. Ammonia/parabens/petrolatum/artificial colorant/PPD & Resorcinol/alcohol and mineral oil FREE organic Keratin smootHing system Non-toxic Formaldehyde, Paraben and cruelty free. Calms frizz-repairs weak and damage hair scalP facials Holistic treatments that detox, sooth, rebalance and address hair loss. Platelet Rich Fibrin (PRF) is a revolutionary leap forward in dental healing and grafting. Simply put, blood is taken chair-side from your arm and in about 10 minutes, the blood is prepared and processed with absolutely NO CHEMICALS, and it is ready to use immediately to help you HEAL. The PRF plug that is created contains your own growth factors, growth proteins, healing platelet cytokines, and all the important regenerative stem cells. The PRF becomes your own dynamic super biomaterial to biologically stimulate bone and soft tissue repair and regeneration, and to aid and accelerate wound healing. This is one example of the exciting technology offered at Golan Family Dentistry. We strive to integrate traditional dentistry with modern equipment and techniques to enhance the biological experience of dentistry. We focus on dentistryâ&#x20AC;&#x2122;s affects not only a specific tooth or area of the mouth but the body as a whole. Through the use of lasers, ozone and computerized dentistry, we hope to improve your dental visits and healing. Biomimetic dentistry is used to restore your teeth in a manner that tries to mimic the mechanical wonder that is a natural tooth. The doctors at Golan Family Dentistry look forward to addressing your dental needs while taking a systemic approach to devise the best customized comprehensive treatment plan to help you achieve dental wellness naturally. In the coming months we will be providing you with valuable information to educate and enhance your dental experience. We are the premier Center for IV Vitamin InfusionTherapy on Long Island: Our IV Vitamin Treatments improve health and wellness & treat acute and chronic conditions. Benefits include: Improved cellular nutrition, increased energy, improved mood, anti-aging, athletic training, skin rejuvenation, weight loss and stress reduction. RACHLIN MODERN WELLNESS Dr. Steven Rachlin, the Director of Modern Wellness is a pioneer in Alternative & Integrative Medicine. After treating over 50,000 patients he continues to deliver innovative medicine. Dr. Rachlin received his Medical Degree at the University of Bologna Italy and did his residency and internship at Winthrop University Hospital in Mineola NY. He began his career in New York City and set up his medical center on Long Island. He’s a member of the AMA. At Rachlin Modern Wellness we provide precision health care to our patients in a uniquely personalized way. We complete a thorough evaluation on each patient through compressive blood work, genetic testing and a lifestyle asessment. Through advanced DNA Testing we uncover specific phramacuitical interactions. The data also outlines specific vitamin deficiencies, hormone imbalances and genetic mutations.Through our evaluation we prepare a customized health program for each patient which includes an in-depth nutrition plan,vitamin protocol, and exercise regime. Maintaining an optimal body chemistry can deliver better aesthetics, better muscle to fat ratios, more energy and stamina, sharper mental acuity and a longer life. At Rachlin Modern Wellness we offer patient’s solutions to overcome these problems and educate them to understand how to balance and improve overall health and wellbeing. of wine, or 1.5 ounces of 80-proof distilled spirits. Alcohol may even have health benefits, such as lowering risk for heart disease. Healthy eating and an active lifestyle are key parts to the equation. Alcohol may stimulate appetite, which can be beneficial to some people with chronic diseases. However, if you have other health issues, problems may arise. Don’t drink on an empty stomach. On average, the body can only detoxify one standard-size drink per hour. The rest circulates in the blood until it can be broken down. The alcohol awareness program has more recently evolved into a national movement, drawing more attention to the causes and effects of alcoholism as well as how to help families and communities deal with drinking problems. Alcohol use by people that do not know how to drink responsibly or are unaware of the risks contributes to higher rates of violence, sexual assault and suicide. If you think you may have a problem with alcohol, you probably do and should call the National Council on Alcoholism and Drug Dependence Hopeline at 800-622-2255. Evidence suggests all types of alcoholic drinks may increase your risk of breast, colorectal and other forms of cancer. If you need assistance with healthy eating habits or need tips for a healthy lifestyle, contact a nutrition expert, a registered dietitian or registered dietitian nutritionist in your area by visiting EatRightLI.org and clicking on “Directory.” Source: Lucy Brown Pugliese, MBA, RDN, CDN, the PR chairperson for Long Island Academy of Nutrition and Dietetics. For more information, visit EatRightLI.org. See ad on page 43. Call us today or visit website for our full suite of services, prices and packages. Breast and full body screening process that can detect health problems up to 8 years before symptoms may be visible. shorten recovery time. The key to an abbreviated recovery time is early intervention. If someone is experiencing symptoms of Bell’s palsy, it is recommended to seek medical attention immediately and begin acupuncture shortly after for best results. Acupuncturists take a different approach to treating disease, as they look for imbalances in the body. Many imbalances by Victoria A. Liotta, DAc, LAc, LMT are caused by the natural elements, such as wind, cold, damp or heat. Wind is a conduit for pathogens and often Bell’s palsy can be quite alarming to those that contract the condition due to its sudden, unexplained and unsightly combines with cold, as seen in the common cold and flu. Acupuncture describes this pattern as an invasion of windnature. It presents as a paralysis of one side of the face, cold. Bell’s palsy is a deeper manifestation of wind-cold characterized by the inability to close the eye and smile specific to the face. Wind makes its entrance into the body fully. The paralysis of the facial muscles causes asymmeat the posterior neck and base of the skull, try and “drooping” of the affected side. It is also which is why acupuncturists recommend wearcommon to have pain behind the ear before the ing a scarf during the cold, windy seasons. It is onset of visible symptoms. notable that in acupuncture and Chinese medi	The nerve affected by Bell’s palsy is the cine, the base of the skull houses several areas facial nerve, aka “cranial nerve seven” (CNVII). with the word “feng,” meaning “wind,” in their There is no definitive diagnostic test for Bell’s title. Acupuncturists stimulate these areas, palsy; therefore, it is diagnosed by excluding known as points, in addition to the affected site other pathologies affecting CNVII. Although the to resolve Bell’s palsy. condition is mysterious in nature, its biomedical Early intervention is key. A 2015 systemorigins can be viral or due to being immunocomVictoria A. Liotta atic review and meta-analysis published by Li, promised. Conditions such as herpes simplex Qui & Qin found favorable results of acupuncvirus, herpes zoster (shingles), tumors, Lyme ture’s ability to resolve Bell’s palsy; however, the combinadisease and bone fractures can give rise to facial paralysis and should be ruled out. MRIs (magnetic resonance imag- tion of prescriptive medications with acupuncture is most ing tests) and CTs (computed tomography scans) may be recommended. used to test for tumors, fractures and stroke, while blood tests can rule out Lyme disease. Victoria A. Liotta, DAc, LAc, LMT, is a doctor of acupuncture Bell’s palsy is treated primarily with corticosteroids at Inner Source Health. As an acupuncturist and massage and/or antiviral medications prescribed by a physician. The therapist, she has experience treating headaches and body condition can resolve fully with or without treatment within pain. In addition, she frequently treats people with anxiety and six months, but corticosteroids, antiviral medications, depression. For more information, call 631-421-1848 or visit along with adjunct therapies, such as acupuncture, help InnerSourceHealth.com. See ad on page 27. LIPO-LIGHT NOW AVAILABLE IN SMITHTOWN! which leads to early treatment and thus higher chances of survival. The tool highlights any abnormalities within the oral tissue that can be useful in the early discovery of a potential life-threatening condition. HOW TO ENSURE EARLY DETECTION: n Visit the dentist at least twice a year for regular cleanings and oral checkups. n Request an oral cancer screening at least once a year from your dental professional. Although there is no way to prevent the occurrence of oral cancer, you can avoid the primary risk factors of oral cancer (tobacco use and excessive alcohol consumption) in order to minimize your risk. Reprinted from April 2018. Source: Jonathan Richter, DDS, FAGD, of Cariodontal (310 E. Shore Rd., Ste. 101, Great Neck). For more information or to schedule an appointment, call 516-282-0310 or visit Cariodontal.com. See ad on back cover. Thank you to our advertisers who make publishing this FREE publication possible each month. They are leaders in our natural living community. Please support them with your business and tell them you saw it in Natural Awakenings! Mention Natural Awakenings and get 10% off hemp oil. Center for the Alignment of Body, Mind & Spirit We provide Gentle Chiropractic Care for the whole family in a relaxing, friendly and supportive environment. Every minute, the equivalent of an entire garbage truck of plastic gets dumped into our oceans, reports the World Economic Forum. Many of the materials are disposable, single-use plastic products like straws, bags and Styrofoam containers, which some cities and towns have banned. This type of citizen action is increasingly blocked by the Plastic Industry Association (PIA), which has spent big money to successfully ban plastic bag ordinances in 10 states where 70 million Americans live. This means local communities are prohibited from taking effective action that could reduce the plastics that litter our streets and pollute our waterways. The Sierra Club is calling on nine major corporations that are members of the PIA to withdraw from it with an online petition. So far, two have indicated they will not be renewing their memberships this year: Clorox (which owns companies like Burt’s Bees, Brita and Glad) and the Ascena Retail Group (which includes Ann Taylor and Loft). To participate, sign the online petition at Tinyurl.com/PlasticPollutionPetition. Other action steps, including tweeting and involving friends, are also detailed. Come meet our new doctors! body is doing. Even testosterone has a few forms, including DHT (dihydrotestosterone), which is many times more powerful than the standard testosterone and has a tendency to cause hair loss on the head but hair growth on the body and face—important to understand in both men and women, especially those with polycystic ovary syndrome. Many of the tests discussed are just a few of what I consider standard testing, while a few we only use in special occasions. We don’t do these tests necessarily repeatedly on a patient every few months or even years, but don’t you want to know where your base levels are? Source: Dr. David Pollack, of Pollack Wellness Institute, located at 66 Commack Rd., Ste. 204, in Commack. For more information, call 631-462-0801 or visit https://www. pollackwellness.com/. See ad on this page. While the harm caused by many invasive plants that evolved in a foreign habitat is well-documented and profound, the ecological impact of plant variations derived from native species—known as cultivars or nativars—is sometimes more subtle. Cultivars have been developed to highlight specific traits, like larger blooms or longer bloom times. They may be bred for a stronger scent, or have the scent bred out of them in pursuit of another trait, making them less enticing to pollinators and wildlife. One drawback to cultivars is what those “improved” traits can affect. “The native serviceberry (Amelanchier) has small, bright red berries birds love to eat,” Fleischacker says. “Because they add color to a winter yard or are used for wreaths and décor, cultivars were bred to produce larger berries. Birds choke on the bigger berry, unable to swallow them.” A current, multi-year research project at the Mt. Cuba Center’s native botanical gardens in Hockessin, Delaware, is seeking to determine whether certain cultivars are as attractive to insects as their native counterparts. What’s certain, say the experts: A gardener can’t go wrong with indigenous plants. “Native varieties have longer growing seasons, a decades-long lifespan and tight plant groupings to prevent weed growth,” Fleischacker says. Despite the perception by some that natives are boring, they can be showier than their cultivar cousins and also thrive in their region’s unique conditions. “I keep my yard as natural as possible to co-exist with my neighbor, the Hiawatha National Forest, and its small animals and birds,” says Monica Cady, co-founder of the Herbal Lodge and a member of the Sault Ste. Marie Chippewa tribe in Hessel, Michigan. opportunities for total immersion in nature. Bringing the kids on a hike offers family fitness time and a healthy way to unplug from technology and sneak in a fun learning experience about local flora and fauna. Helpful Links and Inspiration National trail guide resource: AllTrails.com 13 best hiking apps: AtlasAndBoots.com/best-hiking-apps Hiking with the kids: Tinyurl.com/HealthyHikingWithKids Beginning with day hiking: SectionHiker.com/10-tips-forbeginner-day-hikers Backpacking tips for beginners: REI.com/learn/expert-advice/ backpacking-beginners Practical advice, inspiration and tips for women hikers: GirlsWhoHike.net Walking to stay fit: VeryWellFit.com/walking-4157093 Library of forest bathing articles: TheForestLibrary.com/forestbathing-online-articles forest bathe in the desert, at the beach or even an urban park during a lunch break.” Hitting the trails can also help us see life from another perspective. “Forests are living, breathing organisms. Mountains transcend my humanness,” muses Roelse. “It’s both a humbling and uplifting experience.” Marlaina Donato is the author of several books on spirituality and clinical aromatherapy. She is also a composer. Connect at AutumnEmbersMusic.com. leaves, then ask them to draw them. Back home or at the library, kids can search in guidebooks or online to learn the critters’ names and traits. backyard, ask the child to find a quiet spot, like the base of a tree or under a bush, and build a tiny house using only their imagination and natural materials such as sticks, bark, grass, pebbles, feathers and pinecones. “The fun is ageless and connects you to nature in magical and memorable ways,” says Tracy Kane of Maine, whose website, FairyHouses.com, offers ideas and books. Open the door to your past, present and future. Michelle Andrea Stewart, HEALER Having been blessed with the gift of healing, I am a facilitator LYNBROOK, NY for you to manifest clarity, peace of mind, joy and physical text or call: well-being! Energy healing sessions will energize, inform, and empower you on your unique journey. Learn of the specific messages your own energy body is revealing about your info@MichelleAndreaStewart.com personal path to wellness, and allow me to be the conduit for MichelleAndreaStewart.com the powerful healing energy that is available to you! Time It. Simply set the timer for an hour, open the door into the back yard and let the kids “go at it,” as does writer Attiyya Atkins, a mother of four in Pompano Beach, Florida. “Mostly it’s self-play, but I come out sometimes and teach them about nature, or we do art projects with leaves, rocks or dirt. It’s always naturally fun, and they’re pretty tired afterwards!” Ronica A. O’Hara is a Denver-based natural health writer. Connect at OHaraRonica@ gmail.com. Brightens up life and oatmeal. #Berries #MakesMeWhole Connect with us! “helps create community and a sense of family among people who often live far from blood relatives,” says Fuquen, who lives on a small farm outside Charlottesville, Virginia. The workplace can also be a great place to break bread together, says Fuquen. Her office enjoys hosting the Souper Club, where co-workers each bring a key element like salad fixings, a loaf of bread or a pot of soup to enjoy together—away from their desks. Rebecca Shaloff, a fundraising consultant in Washington, D.C., has participated in work lunch swaps, which she says promote camaraderie, new food discoveries and healthy eating. She also takes part in a closely knit monthly supper club of four young families in her neighborhood. “We all value each other’s friendship and company, but there’s something about coming together for dinner that makes us feel more like family than friends,” Shaloff says. An oasis of wellness on Long Island... Ayurveda can heal: • Chronic disease (Diabetes, Hypertension, migraines) • Anxiety/depression/insomnia • Hormonal Imbalances (Menopausal symptoms, PCOS) • Digestive issues (IBS, GERD) • Auto immune disorders (Chron’s disease, etc.) • Skin problems (excema, psoriasis, cystic acne) With herbal medicines, correct nutrition and lifestyle protocols, EverVeda can put you back on the path to optimum health! • Consultations • Body therapies • Customized retreats + Yoga, Reiki, workshops and more! omeopathic remedies are most effective and long-lasting when they are prescribed by an experienced practitioner that can find a constitutional remedy that matches the child’s symptoms. However, they can also be used effectively on a short-term basis. SPOTLIGHT YOUR BUSINESS in our May Issue For as little as $195 your female-owned business can be featured in our special issue! Did you know that there is no Licensure for a Nutritionist in New York? New York is only one of a few states that do not require a license to dispense nutrition information and advice to the public. What this means is that anyone can call themselves a Nutritionist in NY state. Licensing dietitians and nutritionists assures the public that individuals disseminating nutrition advice have the appropriate education and experience. Licensure laws protect the public from unscrupulous and unqualified individuals who would portray themselves as nutrition experts. Seek a Registered Dietitian Nutritionist (RDN) or Registered Dietitian (RD) for trusted, accurate, and evidence based nutrition information; RD’s/RDNs are the experts. RD’s/RDN's have the highest level of nutrition education and training established by the Accreditation Council for Education in Nutrition and Dietetics. They hold a Bachelor’s degree and/ or Master’s Degree, completed 1,200 hours of supervised practice through a highly competitive dietetic internship program and passed a national examination. Go to www.eatrightli.org to “Find an Dietitian” near you. What has been one of the biggest challenges you’ve faced in living a lifestyle against the societal grain, and how have you overcome it? Impatience. I grew up eating all-natural food; my parents almost named me Kale, and I ate a lot of it growing up. At a certain point, I saw that I had become judgmental and dogmatic when encountering people whose choices did not align with my own, though as Martin Luther King Jr. said, we have no moral authority with those who can feel our underlying contempt. I have since developed a profound respect for each individual’s unique values, needs, experiences and priorities. I advocate for people’s right to make their own choices about what they need. My goal is to help facilitate people’s choices, and to do so with compassion. carpeted scratching surfaces, placed vertically and horizontally to meet all preferences. Keep the scratchers in areas where the kitten hangs out. When bringing a new kitten (or adult cat) into their new home, it’s best to separate the new addition in a little bed-andbreakfast-like setup of their own for at least a week. Put their litter box, bedding, food and toys in their space and keep noise, confusion and foot traffic to a minimum. home. Entice them to enter on their own using food treats, toys and comfy bedding. HURRY! Deadline is April 12! calendar of events NOTE: All Calendar events must be received by the 12th of the month prior to publication and adhere to our guidelines. TUESDAY, APRIL 2 Holistic and Biomimetic Dentistry – 11:1511:45am. Dr. Olga Isaeva of Nature’s Dental exclusive interview with Ellen Kamhi, The Natural Nurse. Listen live on Progressive Radio Network: PRN.fm. Inner & Outer Peace through Meditation – Tuesdays, Apr 2-30. 7:30-9:30pm. Speaker: Rosanna Jimenez, CHHC. Discover how you can tap into your real power source and learn to become a beacon of change for yourself, your family, your community and the world. Science of Spirituality Meditation Center, 79 County Line Rd, Amityville. Register: 631-822-7979 or InfoTriState@sos.org. SOS.org/location/Amityville. THURSDAY, APRIL 4 Detox Your Mind, Body & Soul – 7pm. With Dr. Dawn. Soul-inspiring evening with daily detox tips you can start doing today. Free. Wild By Nature, 369 W Main St, Huntington. 631-4211848. RSVP: DrDawn@InnerSourceHealth.com. InnerSourceHealth.com. FRIDAY, APRIL 5 Yoga 4 Cancer Series – Fridays, Apr 5-19. 12:30-2pm. With Terri Cohen-Lieberman. Series is excellent for students at all levels of yoga experience, including beginners (open to caregivers as well). $75. Breathe N Flow Yoga, 2882 Long Beach Rd, Oceanside. 516-544-2188. Questions: TerriSunshineYoga@gmail.com. BNFYoga.com. P l a y - S h o p : Yo g a & A c r o Yo g a J a m – 7-8:30pm. With Hannah Goodman. Enjoy nopressure, open studio time with fellow yogis and teachers for informal, yoga play-time and exploration. Breathe N Flow Yoga, 2882 Long Beach Rd, Oceanside. 516-544-2188. BNFYoga.com. Understanding Your Thoughts – 5pm. Relax and listen to Dr. Dawn while you reach a heightened understanding of your thoughts and actions. Montauk Salt Cave, 169 New York Ave, Huntington. Register: 631-923-3030. InnerSourceHealth.com. Family Yoga Class – 10-11am. Explore a variety of yoga poses, partner poses, breathing exercises and mindfulness activities while incorporating games, songs, storytelling, imagination and fun. Kids ages 5-11. $20/1 adult & 1 child; $10 each additional child/adult. Breathe N Flow Yoga, 361B Atlantic Ave, Freeport. 516-632-9626. BNFYoga.com. Kevin James – 8pm. Paramount, 370 New York Ave, Huntington. 631-673-7300. ParamountNY.com. FRIDAY, APRIL 12 Dream Catcher Workshop – 7-9pm. With Caitlin Holtslag. Learn to weave and create your own dreamcatcher. All of the materials provided but if you have any personal items (beads, feathers, etc) you’d like to add to your creation feel free. $40. Breathe N Flow Yoga, 361B Atlantic Ave, Freeport. 516-632-9626. BNFYoga.com. SATURDAY, APRIL 13 Spring Self-Care Workshop – 1-3pm. With Susan Petschauer. Learn how to self-care and adjust your lifestyles to give your bodies what they need during the changing of the seasons. $45; save $5 register by Apr 5. Breathe N Flow Yoga, 2882 Long Beach Rd, Oceanside. 516-544-2188. BNFYoga.com. SUNDAY, APRIL 14 Embody Love Movement Workshop for Women – 1-4pm. With Cheryl Donnelly. $45/advance, $50/ at door. Absolute Yoga, 1 Guilles Ln, Woodbury. 516-682-9642. AbsoluteYogaStudio.com. Holistic and Biomimetic Dentistry – 10-11am. Dr. Olga Isaeva of Nature’s Dental exclusive interview with Ellen Kamhi, The Natural Nurse. Listen live on Progressive Radio Network: prn.fm. Crystals, Clairvoyance & Meditation – 11am1pm. With clairvoyant, Tori Quisling. We will tune in to the messages from crystals and use them to heal ourselves and gain insight into the future. We will make a powerful group mandala using the crystals. $40/in-person, online. 150 Bayview Ave, Port Washington. Register: 516-423-1794 or Tori@ToriQuisling.com. BNFYoga Mama Circle – 7-8pm. A safe, supportive and welcoming environment for you to ask questions and share your experiences, resources and information with other mothers. $20/Mama (15% of cost donated to NPO that supports Maternal Wellness). Breathe N Flow Yoga, 361B Atlantic Ave, Freeport. Pre-registration required: 516-632-9626 or BNFYoga.com. Yoga for Grief – 1-4pm. Healing and peace for all bodies with Olga Lucia. $50. Absolute Yoga, 1 Guilles Ln, Woodbury. 516-682-9642. AbsoluteYogaStudio.com. Coming Home to your True Self – 1-6pm. Halfday healing and self-care retreat with Gisele Mogan. $108. Absolute Yoga, 1 Guilles Ln, Woodbury. 516682-9642. AbsoluteYogaStudio.com. The Beatles: Abbey Road – 8pm. Celebrating the 50th Anniversary. Paramount, 370 New York Ave, Huntington. 631-673-7300. ParamountNY.com. The Well-Women’s Enlightenment through Laughter and Love: A Women’s Circle – Apr 7 & 28. 1-3pm. Can attend one or both. Absolute Yoga, 1 Guilles Ln, Woodbury. 516-682-9642. AbsoluteYogaStudio.com. The Bizarre World of Frank Zappa – 8pm. Paramount, 370 New York Ave, Huntington. 631673-7300. ParamountNY.com. Awaken the Power of Love through Meditation – 9:30am-3pm. Meditation mini-retreat with Andrew Vidich, PhD. Explore the power of compassion and forgiveness at this retreat. Science of Spirituality Meditation Center, 79 County Line Rd, Amityville. Register: 631-822-7979 or InfoTriState@sos.org. sos.org/location/Amityville. Nutrition Talk: Sugars – 7-8pm. What do we know about the impact of artificial sweeteners on health? Chrisa (Hrisanti) Arcan, PhD, RD, will be presenting the latest findings about artificial sweeteners and how they impact our health. Deer Park Library, 44 Lake Ave. 631-586-3000. Detox Your Thoughts – 2pm. With Dr. Dawn. Let go of the unnecessary thoughts that don’t serve you. Deep breathing and meditation. Montauk Salt Cave, 169 New York Ave, Huntington. Register: 631-9233030. InnerSourceHealth.com. DoTerra Oils Study Session – 6:45-7:45pm. With Leah Hartofelis. Discuss the benefits of using oils in our home or office to replace chemical and pharmaceutical products. Free. Breathe N Flow Yoga, 361B Atlantic Ave, Freeport. 516-632-9626. BNFYoga.com. Baby & Me Yoga Class – 12-1pm. With Jamie Henderson. Infants-crawlers. Mommies practice with their babies, as well as on their own, using yoga postures, breathing and relaxation techniques in a nurturing environment. $20/1 adult & 1 child. Breathe N Flow Yoga, 361B Atlantic Ave, Freeport. 516-632-9626. BNFYoga.com. Calling in Your Baby: Clairvoyant Techniques to Manifest Your Pregnancy – 10am-12:30pm. With clairvoyant, Tori Quisling. Learn clairvoyant techniques to create this miracle in your life. Group readings included. $55/person; $95/couple. 150 Bayview Ave, Port Washington. Register: 516-423-1794 or Tori@ToriQuisling.com. The Well-Women’s Enlightenment through Laughter and Love: A Women’s Circle –1-3pm. See Apr 7 listing. Absolute Yoga, 1 Guilles Ln, Woodbury. 516-682-9642. AbsoluteYogaStudio.com. BNFYoga Book Club – 7-8pm. Have the opportunity to vote on the book selections through our Facebook group, and the winning selection will be announced in BNF’s monthly newsletter, as well as the group. Breathe N Flow Yoga, 2882 Long Beach Rd, Oceanside. 516-544-2188. BNFYoga.com. plan ahead SATURDAY, JUNE 1 The Mysteries & Magic of Ancient Egypt – 9:30am-1pm. Take an “Instant Pilgrimage” to Ancient Egypt with psychic Tori Quisling. This is a powerful and transformative journey. $75/person (museum entrance fee included). Metropolitan Museum of Art, 1000 5th Ave, New York. 516-423-1794. Tori@ToriQuisling.com. classifieds To place a Classified listing, submit your content online at NALIMag.com. BUSINESS OPPORTUNITY FREE WHOLE FOODS FOR 4 YEARS FOR CHILDREN AND YOUNG ADULTS. Clinicallyproven, wonderful product and income opportunity. Free fruits, vegetables and berries in capsules or chewies for children and young adults for 4 years if adult orders product. Great way to supplement your income while keeping people optimally healthy! Carol Leitner, MBA, Health Care Admin. at CarolLeitner1@gmail.com or 516-242-8270. ENERGY WELLNESS JEWELRY BEAUTIFUL, INTERCHANGEABLE JEWELRY to protect from harmful EMF radiation from wifi, cell phones, computers, etc. With very powerful Neodymium Magnets and Bio-energetic Elements: Negative Ion, Infrared and Germanium to boost energy, improve circulation, protect against EMF’s improve sleep, lift mood, etc. Necklaces, bracelets for men and women, pet tags, Essential Oil Diffusers! See magnetudejewelry.com/carolleitner Carol 516-242-8270 or CarolLeitner1@gmail.com. FOR RENT SPACE AVAILABLE in a newly-renovated massage suite. Prime location: Commack, NY. Clean and calming atmosphere. Prefer a self-employed wellness worker such as Esthetician, lymphatic drainage, other specialty. Contact 631-600-1123. HELP WANTED SEEKING 2-3 INDIVIDUALS to join holistic minded team. Must be motivated, entrepreneurial spirit with good communication skills. Will train. Call for interview a Pamela 516-624-2332. OPPORTUNITY ARE YOU INTO HEALTHY LIVING? How would you like to take this passion, make it your purpose & create a path to prosperity? Learn more GoToMyHolisticTeam.com. SERVICES LEARN ABOUT YOUR OWN PSYCHIC ABILITIES – Tori Quisling, with over 20 years experience, can teach you to use your own intuitive abilities to heal yourself and communicate with others. By the end of the course, students can meditate, work with healing guides and perform a psychic reading. Group and custom classes offered. Please see YourPsychicSelf.net or call 516-423-1794.
full moon Full Moon Trance Dance – Held every month on or around the full moon. Moving meditation led by Elyce, live jams by Transmorpheous & Outhouse, at beautiful outdoor settings & studios in Nassau & Suffolk. $25. Bring a veggie dish or snack to share. More info: ElyceYogaTrance.com. daily 300-Hr Advanced Yoga Teacher Training – An ongoing training allowing for open enrollment and flexibility in attaining 300-hr certification and continuing education credits all year long. Open to yoga teachers who have completed their 200hr teacher training at a Yoga Alliance Registered School. Breathe N Flow Yoga, 361B Atlantic Ave, Freeport. 516-632-9626. BNFYoga.com. Clairvoyant Development Classes – With Tori Quisling, Clairvoyant Practitioner. Learn powerful intuitive tools that completely change their life. Classes include personal training in small groups in meditation, healing and balancing the aura and chakras through work with a personal healing guide and readings. Also learn about dreams, the Akashic Records, mediumship, and an array of metaphysical topics. Classes ongoing. More info: 516-423-1794 or ToriQuisling.com. Hypnosis Sessions – With Diane Monks, Certified Hypnotist, Ordained Interfaith Minister, Spiritual Counselor & Educator as well as a Licensed Social Worker. Hypnosis is a powerful and effective tool to support individuals in making changes and ultimately, leading lives of fulfillment, purpose and balance. More info & to schedule: 516 826-5859 or DianeMonks.com. Organic Color Bar – Offers O&M Men’s Q.color. Full grey coverage or natural blending in 10 mins or less. For appt: 646-864-4413 or OrganicColorBar.com. Prenatal Yoga Classes – Designed to offer expecting moms the tools needed to be mentally, spiritually and physically fit during their journeys to motherhood. Breathe N Flow Yoga: 361B Atlantic Ave, Freeport. 516-632-9626. 2882 Long Beach Rd, Oceanside. 516-544-2188. For schedule: BNFYoga.com. Psychic Mediumship Development Course – Tori Quisling, M.Ed, Clairvoyant Practitioner, offers a weekly course in learning to use clairvoyance in your life. By the end of the course, you will be able to meditate “Find Your Space,” give readings and work with your own Healing Guide. Customized program, begin when ready. Discounts when you join with a friend. NY Center for Clairvoyant Development, 150 Bayview Ave, Port Washington. 516-423-1794. Tori@ToriQuisling.com. ToriQuisling.com. monthly Carol’s Holistic “Show and Tell” and Educational Networking Events – Monthly meetings both day and night in Westbury and Port Washington. Display your products, share your services. Learn how to grow a prosperous practice/business. Get and give referrals. For details, Carol Leitner: 516-242-8270 or CarolLeitner1@gmail.com. Healthy Happy Hour – 4th Thurs. Integrative Doctor Kristine Blanche discuss important topics and holistic techniques to keep you and your family healthy. Check out our page on eventbrite to stay updated on topics. Eventbrite.com/o/kristineblanche-pa-c-phd-7759280401. sunday Vinyasa Flow Yoga – 9am. All levels. Absolute Yoga, 1 Guilles Ln, Woodbury. 516-682-9642. AbsoluteYogaStudio.com. Beginner Yoga Series – 10:30am. Absolute Yoga, 1 Guilles Ln, Woodbury. 516-682-9642. AbsoluteYogaStudio.com. monday Gentle Stretch and Strengthening Class for Athletes, Dancers and All – Mon-Sat, am & pm. Also chair yoga and self-massage for all. Plainview, Port Washington, Manhasset & Great Neck. Carol: 516-242-8270 or CarolLeitner1@gmail.com. Vinyasa Flow – 9:30am. All levels. Absolute Yoga, 1 Guilles Ln, Woodbury. 516-682-9642. AbsoluteYogaStudio.com. Therapeutics Flow – 9:30-10:45am. With Rita Trieger This curative practice combines yoga therapy techniques with vinyasa flow and restorative poses to help ease stiff or strained muscles and encourage healing on both the physical and emotional plane. Specific attention is paid to easing low back, hips and hamstrings. All levels welcome. Breathe N Flow Yoga, 361B Atlantic Ave, Freeport. 516-632-9626. BNFYoga.com. Breathe, Flow and Meditate – 5pm. Also Wed. This open level class is the perfect blend of asana, pranayama and meditation. Be guided through a mini-yoga asana practice designed to provide the physical space needed to sit comfortably during guided meditation practice. Breathe N Flow Yoga, 361B Atlantic Ave, Freeport. 516-632-9626. BNFYoga.com. Breast Cancer Support Group – 6-7:30pm. Women who have had breast cancer will have the opportunity to meet in this group. Free. Adelphi University School of Social Work, Garden City. For info & to register, Erin Nau: 516-877-4314 or the Breast Cancer Hotline, 800-877-8077. Support for Caregivers of People with Breast Cancer – 6-7:30pm. Any person who is experiencing the stress and anxiety of caring for a loved one with breast cancer should attend this group. Free. Adelphi University School of Social Work, Garden City. For info & to register, Erin Nau: 516-877-4314 or the Breast Cancer Hotline, 800-877-8077. Pilates for Beginner – 6:30-7:30pm. Also Tues, 9:15am. A free trial by appointment. Come join the therapeutic-grade of Pilates class. Small group setting so you can get personal attention. Harmony Yoga & Dance, 3050 Merrick Rd, Wantagh. For more details, Mariko: 516-330-8998. HarmonyYogaAndDance.com. Free Teleclass: Essential Oils – 7:30pm. 1st Mon. Learn all about how essential oils can support the systems of the body. Different topic each month: athletics, adrenal fatigue, kids, pets, menopause. More info & registration: BestYouCanBeNow@yahoo.com. Tai Chi & Qigong – 7:50-8:50pm. Good for recovery from injury, physical limitation, mind-body connection. Benefits of circulation, strengthen, balance and stress reduction. Harmony Yoga & Dance, 3050 Merrick Rd, Wantagh. For more details, Mariko: 516-330-8998. HarmonyYogaAndDance.com. Sound Healing – 8:30pm. Instruments such as the voice, singing bowls, tuning forks, and percussive instruments are used in sound healing sessions. The vibrations and sound waves from these instruments induce a deep meditative and peaceful state. Breathe N Flow Yoga, 2882 Long Beach Rd, Oceanside. 516-544-2188. BNFYoga.com. tuesday Yin Yoga – 9:30am. A practice in which asanas (poses) are held for extended periods to increase flexibility and juice up the joints and ligaments, releasing energetic blockages that may be holding you back in your yoga practice. Breathe N Flow Yoga, 361B Atlantic Ave, Freeport. 516-632-9626. BNFYoga.com. YogiBaby – 11am. For mom and baby (newborn to active crawler). Regain strength and tone while bonding with your baby. Absolute Yoga, 1 Guilles Ln, Woodbury. 516-682-9642. AbsoluteYogaStudio.com. Prenatal Yoga – 6pm. Designed to bring together a community of expecting mothers to share in the benefits of a specialized yoga practice. Breathe N Flow Yoga, 361B Atlantic Ave, Freeport. 516-6329626. BNFYoga.com. Young Women’s Breast Cancer Support Group: Under 40 – 6-7:30pm. Support group focuses on the unique needs and concerns of women under 40 who are diagnosed with breast cancer. Free. Adelphi University School of Social Work, Garden City. For info & to register, Erin Nau: 516-877-4314 or the Breast Cancer Hotline, 800-877-8077. Weekly Intuitive Development Class – 7pm. With Tori Quisling. In these “playful” workshops, learn all you ever wanted to know about your own “sixth sense.” We will use meditation to help spark your intuition and ground your energy. All levels. $40, $175/5 classes (Tori’s book, The Clairvoyant Practitioner, included when purchase a series). 150 Bayview Ave, Port Washington. Register: 516-423-1794 or Tori@ToriQuisling.com. More info: ToriQuisling.com. Prenatal Yoga – 7:30pm. Absolute Yoga, 1 G u i l l e s L n , Wo o d b u r y. 5 1 6 - 6 8 2 - 9 6 4 2 . AbsoluteYogaStudio.com. wednesday Gentle Stretch and Strengthening Class for All – 10, 11:30am, 7:30pm. Also Sat, 11:30am. Long Island Circle of Life Center, 164 Center Ln, Levittown. Carol: 516-242-8270 or CarolLeitner1@gmail.com. Knit and Chat: Breast Cancer Survivors – 11:30am-1pm. Last Wed. Spend time working on a project while chatting with other breast cancer survivors. Bring your knitting or crochet project or make a scarf to donate to someone currently undergoing treatment for breast cancer. Free. Adelphi University School of Social Work, Garden City. For info & to register, Erin Nau: 516-877-4314 or the Breast Cancer Hotline, 800-877-8077. PARTNERS WE THINK YOU WILL TOO! Chair Yoga – 12pm. Adapts yoga positions through creative use of a chair. Most of the class is done seated in a chair or using it as support. Absolute Yoga, 1 Guilles Ln, Woodbury. 516-682-9642. AbsoluteYogaStudio.com. Breathe, Flow and Meditate – 5pm. See Mon listing. Breathe N Flow Yoga, 361B Atlantic Ave, Freeport. 516-632-9626. BNFYoga.com. Theater for Life – 6pm, teens; 7:15pm, adults. A therapeutic group, an experience in dramatic storytelling in supportive community. For more info: 516-655-0573 or Arden@ArtTherapy.us. Meditation & Reiki Circle – 7pm. Rest and restore with a reiki healing and guided meditation. Receive a Reiju (energetic blessing) from Reiki Master Donna Arigo. We incorporate crystals and essential oils into our healings, and end with oracle readings. All levels welcome. $25. Celebrations, 529 Bedford Ave, Bellmore. Text/call to RSVP, Donna Arigo: 516-721-1156. Lotus Flow – 7-8:15pm. With Kristen Petliski. A creative and energetic vinyasa class. Build strength, flexibility, and flow with grace in this crowd favorite at its new time. Yoga Nanda: Long Beach, 52 E Park Ave, Long Beach. 516-889-0808. Yoga-Nanda.com. Citizens for 5G Awareness Activist Group – Apr 17, May 15, June 19. 7-9pm. How to protect ourselves and families from the health dangers of 5G wireless technology. Long Island Hilton, Melville. Dtpevansara@optonline.net. The Real Truth about Health Plant-Based Support and Planning Group for Jan 2020 – Apr 10, May 1, June 5. 7-9pm. Free 10-Day Conference. Share your ideas on health issues affecting LI. Free vegan food. Long Island Hilton, Melville. Steve: 516-921-1417 or Steve@RealTruthTalks.com. Prenatal Yoga – 7:15pm. Designed to bring together a community of expecting mothers to share in the benefits of a specialized yoga practice. Breathe N Flow Yoga, 361B Atlantic Ave, Freeport. 516-632-9626. BNFYoga.com. Meditation & Reiki Circle – 7:30pm. Rest and restore with a reiki healing and guided meditation with Parita Shah and Donna Arigo. We incorporate crystals and essential oils into our healings, and end the night with oracle readings. All levels welcome. $25. Celebrations, 529 Bedford Ave, Bellmore. Text/call to RSVP, Parita: 516-522-0865. WE ARE GRATEFUL! Thank you to our advertisers who make publishing this FREE publication possible each month. They are leaders in our natural living community. Please support them with your business and tell them you saw it in Natural Awakenings! Hatha Yoga – 7:30-8:45pm. With Christina Diaz. This open level class will foster the body by offering creative variations in addition to breaking down asanas for a firm understanding of the pose and how it can be accessible for you. Yoga Nanda: Malverne, 30 Church St, Malverne. 516-284-6690. Yoga-Nanda.com. Gentle Yoga & Meditation for Stress Relief – 7:30-8:45pm. Come to relax and relief your stress. Gentle stretch and yoga pose with flow the energy, peace and calm for meditation. Harmony Yoga & Dance, 3050 Merrick Rd, Wantagh. For more details, Mariko: 516-330-8998. HarmonyYogaAndDance.com. Hatha, Yin and Restore – 7:30-8:45pm. With Susan Brotter. A peaceful balance to your more active yoga practice. Increase fluidity and flexibility through traditional yin postures and end with relaxing restorative poses. Yoga Nanda: Malverne, 30 Church St, Malverne. 516-284-6690. Yoga-Nanda.com. MySore Style – 9:30am. Absolute Yoga, 1 G u i l l e s L n , Wo o d b u r y. 5 1 6 - 6 8 2 - 9 6 4 2 . AbsoluteYogaStudio.com. Gentle Flow/Restorative Yoga – 11am. Absolute Yoga, 1 Guilles Ln, Woodbury. 516-682-9642. AbsoluteYogaStudio.com. Sound Healing – 12:15pm. Instruments such as the voice, singing bowls, tuning forks, and percussive instruments are used in sound healing sessions. The vibrations and sound waves from these instruments induce a deep meditative and peaceful state. Breathe N Flow Yoga, 361B Atlantic Ave, Freeport. 516-632-9626. BNFYoga.com. Reiki Circle – 7:45-8:45pm. Drop-in for a guided meditation and reiki healing with Parita Shah and Lisa Dooley. In this healing we will realign our chakras and discover our inner joy. Please bring a yoga mat. $22. North Shore Yoga, 24 Skillman St, Roslyn. Text/call to RSVP, Parita: 516-522-0865. Vinyasa Flow – 6pm. All levels. Absolute Yoga, 1 Guilles Ln, Woodbury. 516-682-9642. AbsoluteYogaStudio.com. Restorative Yoga – 9:30am. Absolute Yoga, 1 Guilles Ln, Woodbury. 516-682-9642. AbsoluteYogaStudio.com. Teen Grief Support Group – 7pm. 2nd Thurs. With Jennifer Plunkett. For teens, ages 13-17, dealing with the loss of someone close to them. First time attendees must first speak with Jennifer prior to their first group. A social media component between monthly meetings will be part of the program. Free. COPE House, Field 6A, Eisenhower Park, East Meadow. 516-484-4993. Newly Diagnosed Breast Cancer Support Group – 10-11:30am. When a person first hears they are diagnosed with breast cancer they have a million questions, fears, and are looking for support. Free. Adelphi University School of Social Work, Garden City. For info & to register, Erin Nau: 516-877-4314 or the Breast Cancer Hotline, 800-877-8077. Support Group for Women with Metastatic Breast Cancer Disease – 7-8pm. 1st & 3rd Thurs. Meet with other women who are surviving metastatic breast cancer. Free. Adelphi University School of Social Work, Garden City. For info & to register, Erin Nau: 516-877-4314 or the Breast Cancer Hotline, 800-877-8077. Holistic Moms Network – 7:30pm. 1st Thurs. Join us for our monthly meeting to connect on natural living and mindful parenting. Nassau County, LI North Shore Chapter. Oyster Bay Community Center. More info: 516-674-4114 or NorthShorelihmn@gmail.com. Community Yoga: Donation-Based – 4-5pm. A vinyasa flow class that will stretch the body and clear the mind. All donations collected each month go to supporting United We Ohm. Donate what you can. Breathe N Flow Yoga, 361B Atlantic Ave, Freeport. 516-632-9626. BNFYoga.com. Asana Academy – 5-6pm. With Olivia Beaton. High school and college students receive a 25% discounted rate with student ID. Weave some yoga practice into your weekly study routine. Open to all. Yoga Nanda: Garden City, 55 Hilton Ave, Garden City. 516-307-9007. Yoga-Nanda.com. YinYang Yoga Fusion – 5-6:15pm. Every 2nd Fri is Sound Healing instead of yoga. Harmony Yoga & Dance, 3050 Merrick Rd, Wantagh. For more details, Mariko: 516-330-8998. HarmonyYogaAndDance.com. Prenatal Yoga – 5:30-6:30pm. Designed to bring together a community of expecting mothers to share in the benefits of a specialized yoga practice. Breathe N Flow Yoga, 361B Atlantic Ave, Freeport. 516-632-9626. BNFYoga.com. Candlelight Vinyasa Flow – 6pm. Absolute Yoga, 1 Guilles Ln, Woodbury. 516-682-9642. AbsoluteYogaStudio.com. saturday Pre-Natal Yoga – 9am. Absolute Yoga, 1 Guilles Ln, Woodbury. 516-682-9642. Yin Yoga – 9-10:15am. A practice in which asanas (poses) are held for extended periods to increase flexibility and juice up the joints and ligaments, releasing energetic blockages that may be holding you back in your yoga practice. Breathe N Flow Yoga, 361B Atlantic Ave, Freeport. 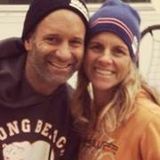 516-632-9626.BNFYoga.com. Soothe, Ground and Surrender: A Traditional Hatha Practice – 9:30-10:45am. With Gary Pleger. An open level class emphasizing the natural properties of grounding through connection to Mother Earth. Yoga Nanda: Malverne, 30 Church St, Malverne. 516-284-6690. Yoga-Nanda.com. Align and Flow – 11am-12:15pm. With Stephanie Anne Ervin. We will work towards a peak posture or target a specific body part to gain better understanding of ourselves through physical practice. Yoga Nanda: Malverne, 30 Church St, Malverne. 516-284-6690. Yoga-Nanda.com. Gentle Stretch and Strengthening Class for All – 11:30am. See Wed listing. Long Island Circle of Life Center, 164 Center Ln, Levittown. Carol: 516-242-8270 or CarolLeitner1@gmail.com. Family Yoga – 1pm. Children and family members do yoga together. It is fun mind, body development, bonding together. Harmony Yoga & Dance, 3050 Merrick Rd, Wantagh. For more details, Mariko: 516-330-8998. HarmonyYogaAndDance.com. CHIROPRACTOR CENTER FOR THE ALIGNMENT OF BODY, MIND & SPIRIT Dr. Gina Marino • Wantagh 516-221-3500 • Align-Me.com Dr. Marino utilizes a combination of gentle chiropractic spinal adjustments, Reiki and bodywork to reduce pain, lessen the effects of stress on your system, restore flexibility and ensure optimum vitality. See ad on page 25. Locations in Smithtown and Garden City 516-640-5322 • CleansingConceptsWorld.com Private, safe, comfortable. Lose weight, gain energy, improve skin and sleep, and help reduce the risk of disease. Spa-like atmosphere. Feel completely relaxed. Pre-Post cleanse nutrients provided. See ad on page 19. Steven M. Rachlin, MD, PC 927 Willis Ave, Albertson, NY 11507 (30 mins from Manhattan) 516-873-7773 RachlinMedicalOffices.com Dr. Steven M. Rachlin is a recognized pioneer in alternative and integrative medicine and has been practicing in New York City and Long Island for over 30 years. In his state-of-the-art facility he offers the best of holistic and traditional medicine. He treats cancer, cardiovascular disease, neurological disorders, hormone imbalances, low testosterone, diabetes, weight loss, hypertension, chronic fatigue, thyroid imbalances, fibromyalgia, food and inhalant allergies, celiac and heavy metal toxicity. Some of his treatments include, IV Vitamin Therapy, Chelation Therapy, complete blood work evaluations, immunotherapy and nutritional counseling. See ad on page 15. Dr. David L Pollack specializes in functional nutrition which is the science of helping repair and restore the body naturally without the use of drugs and surgery. Many of his clients were frustrated with their past health care; conventional or holistic. Most seek help with their thyroid, weight loss, digestive disorders, hormone imbalances including infertility, menstrual & Low T. We accept those with or without diagnosis, complex and simple disorders. Most insurance policies accepted for many services. See ad on inside front cover. 444 Community Dr, Ste 204, Manhasset 516-627-8400 • GoldenSmile.com A practice that cares for you like family. The philosophy of our dental wellness center is a wholebody approach working closely with your healthcare practitioners that you already have a relationship with. The practice incorporates the teaching of Huggins, IOAMT, and much more. See ad on page 7. 50 Broadway, Greenlawn, NY 11740 631-316-1816 NaturesDental.net What is made by nature is always going to be better than what is artificially made. This is why at Nature’s Dental the conservation of your natural tooth structure—the Biomimetic approach to dentistry—is at the core of our minimally invasive practice philosophy. See ad on page 21. Essentially Powerful Worldwide 516-624-2332 GoTo.OilsForEveryday.com Your wholesale and retail resource for Young Living Essential Oils. Free workshops, trainings, and support in use and application of pure therapeuticgrade EOs. Opportunity to grow your own distributorship if desired. Your guide to vibrant health, emotional freedom, abundant living. See ad on page 33. A Place for Dental Wellness Jonathan Richter DDS, FAGD Specializing in Periodontics and Implantology Periodontal Prosthesis and Fixed Prosthodontics 310 E Shore Rd, Great Neck 516-282-0310 We welcome you to come in for a comprehensive exam of teeth, gums, early detection, and oral health problems. We offer the following services: holistic dental care, mercury-free dentistry, TMJ disorder and treatment, treatment for sleep disorders, Invisalign and orthodontics, dental implant, sleep apnea. Payment plans available. See ad on back cover. Healer Long Beach, Lynbrook and NYC, NY call or textL 845-706-2152 Michelle has been blessed with the gift of healing. Experience transformative healing energy and insight for your personal well-being. Each session is unique to the needs of the individual. See ad on page 37. Specializing in detoxification and preventative health care. We are fully present in your visit so you feel safe, appreciated and heard. See ad on page 17. Bellmore 516-765-3272 • Dr.Finker.com Utilizing Naturopathic Medicine to help her patients feel better naturally. Many illnesses can be treated by nutrition, botanicals, and nutraceuticals. Dr. Finker provides personalized health care solutions for her patients. See ad on page 33. 66 Commack Rd, Ste 204, Commack 631-462-0801 https://www.pollackwellness.com/ Dr. David L Pollack specializes in functional nutrition which is the science of helping repair and restore the body naturally without the use of drugs and surgery. Many of his clients were frustrated with their past health care; conventional or holistic. Most seek help with their thyroid, weight loss, digestive disorders, hormone imbalances including infertility, menstrual & Low T. We accept those with or without diagnosis, complex and simple disorders. Most insurance policies accepted for many services. See ad on inside front cover. If you have a disease or condition that you haven’t been able to get rid of, Ozone Therapy will most likely be the answer, even for people that have suffered for years and have lost all hope. If you are questioning if your condition can be treated, call or email Dr. Robins. See ad on page 55. 516-423-1794 • Tori@YourPsychicSelf.net YourPsychicSelf.net Tori Quisling, MEd, offers Clairvoyant Readings, Psychic Development classes. Over 20 years experience, training at the Berkeley Psychic Institute, Tori assists you in deep spiritual answers, past lives, relationships and energy balance. See ad on page 33. 1225 Franklin Ave, Suite 325 Garden City, NY 11530 (Available to work virtually with people regardless of their location) 866-321-2035 GutRXN.com Ryan Whitcomb is a dietitian specializing in digestive issues, autoimmune diseases and chronic inflammation related to food sensitivities. Get back on track in as little as two weeks. 140 Cove Road, Oyster Bay 516-721-4216 Everveda.com Everveda’s mission is to restore and rejuvenate the lives of those who seek better health. Tucked away from the chaos of the outside world, our sacred grounds are home to many healing practices such as ayurvedic spa treatments, reiki, abhyanga, shirodhara, svedana, and facials to name a few. If you are looking for a community to heal and grow with, EverVeda is your home away from home! See ad on page 39. 1 Guilles Ln, Woodbury 516-682-YOGA AbsoluteYogaStudio.com Two beautiful, peaceful studios provide the perfect environment for the union of body and soul. 50+ classes per week in a variety of yoga styles and levels from beginner to energetic, strengthening warm vinyasa yoga. We also offer kids, pre- and post-natal yoga (yogi baby), restorative yoga, yoga for fertility, Pilates and barre. See ad on page 35. 361b Atlantic Ave, Freeport 516-632-9626 BreatheNFlowYoga.com Family yoga studio specializing in vinyasa yoga, prenatal, restorative, kids’ yoga, mommy & me, private/semi-private, kids’ parties and workshops. Special donation-based community yoga classes offered Fridays at 4pm. Open 7 days a week offering a full range of classes in two studios and private changing/nursing area. Come feel the Flow. See ad on page 25. DIV OZONE THERAPY may be your only hope and the answer! Dr. Howard Robins has been helping people using Ozone Therapy for over 27 years and is considered by many to be the foremost clinical expert in North America on Bio-oxidative Therapies for the SAFE treatment of diseases and illness with over 265,000 treatments performed. DIV Ozone Therapy has successfully treated Herpes I and II, HIV, all forms of Hepatitis, Diabetic ulcers/neuropathy, Allergies, Chronic Fatigue, Candidiasis, MS, RA, Lyme Disease, Arthritis, Shingles, Acne, Psoriasis, HPV and now RSD/CRPS just to name a few diseases and conditions. A tooth extraction is one of the most performed procedure by dentists all over the world and throughout history. Currently, extracted teeth are considered to be a biological waste. But what if there is a way that we can upcycle extracted teeth by creating an autologous bone grafting material. This material can then be placed at the site of extraction in order to avoid the bone trauma that can be caused by extracting a tooth. Low bone density at the extraction site can have long lasting effects in the esthetic, phonetic and function of your teeth. Using the Smart Dentin Grinder from KometaBio we are able to utilize extracted teeth and convert them into bacteria-free autologous dentin material to be use for immediate bone grafting in about 15- 20 minutes. The extracted tooth goes through a process of cleaning, grinding, demineralization and sterilization in order to be an effective graft material which is biocompatible with the patient and has a low chance of rejection. Why does it work? Dentin is virtually identical to bone in composition and proven to be an ideal grafting material. Bone and dentin undergo a process of fusion (ankylosis) rather than resorption. This process creates stronger and longer lasting density at the extraction site. Jonathan Richter D.D.S., F.A.G.D. is a noted dentist with dual dental degree in periodontics, prosthetics and dental implantology, who provides comprehensive holistic dentistry to preserve your natural teeth. He is one of the select few dual-specialists in the tri-state area. Dr. Richter places heavy emphasis on the prevention through wellness and holistic approaches. His main focus is the effects that preventative dentistry can have on the patient’s overall well being. His knowledge of the systemic medical and dental inter-relationships allows him to devise the best treatment plan for each individual patient. WWW.CARIODONTAL.COM North Shore Cosmetic and Implant Dentistry, P.C.